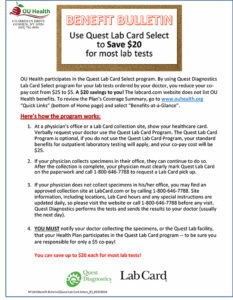 The OU Health Plan utilizes Quantum Health Solutions as its Managed Benefit Provider for these services. Utilizing a managed benefits program allows the Plan to provide quality treatment at a higher level of benefits than might otherwise be available to the patient. The Orange-Ulster Health Plan is a Plan of choice. This means you have the choice of using either an in-network provider or and out-of-network provider. The choice of using In-Network providers would only require a co-pay as the In-network provider has agreed to accept certain payments for services. When a member is in need of these services, it is important that they feel comfortable with their provider. When a provider, which a member “connects” with, is out-of-network, Quantum will contact that provider to discuss a favorable solution that would ensure the member would have effective and affordable care. Quantum Nets’ mental health and substance abuse network consists of both local inpatient facilities and outpatient providers. All outpatient providers are licensed mental health professionals. A member can contact Quantum, at 1-888-214-4001 for assistance in finding a provider that would be most beneficial to their needs.